I am fortunate to have not only a beautiful friend but a clever one at that. 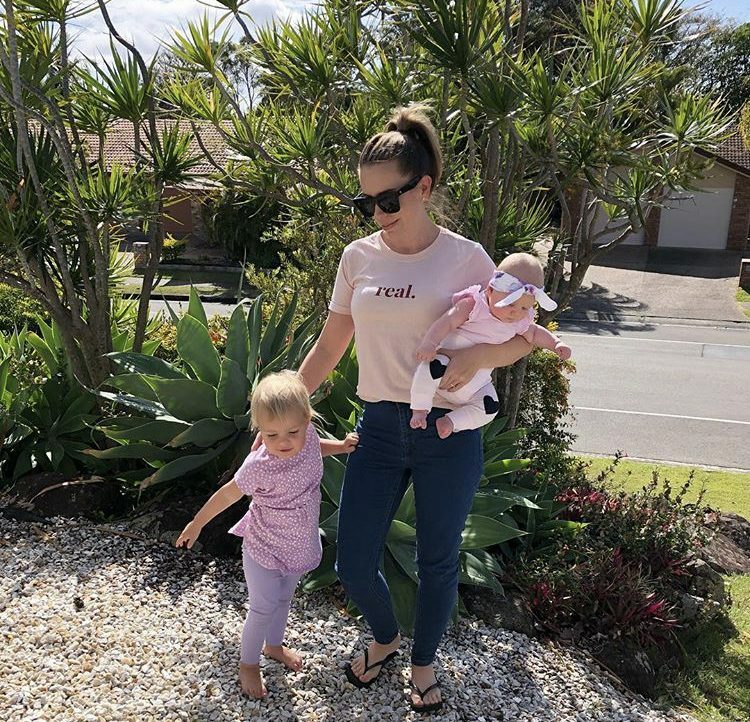 Leia @_poppysandpistachios_ is a nutritionist who has a Bachelor of Health Science (Nutritional Medicine) has been my go to throughout my pregnancy and on my motherhood journey for advice and information on mama and bub nutrition and much much more. I have had a lot of new questions lately with Aria hitting the one year mark and (real food) being the main part of her diet. Leia has been kind enough to do a Q&A with some helpful information for us new mums. Q1. We all know how a good nights sleep is a luxury for most new mums. What can you do to increase your energy and help get a better nights sleep? Keep your meals simple and nutri1ous, breastfeeding require’s a significant higher nutrient intake to pass down to bub and to also help your body repair and refuel after birth. Slow cooked meals such as soups, stews and casseroles are perfect, leftovers can be frozen and reheated when needed. Keep lots of healthy snacks on hand, chopped up veggie sticks, nut butters, boiled eggs, rice cakes and homemade protein balls are great. Those pesky hormones can make you reach for the sugar and stimmulants, so make sure you are prepared as possible to maintain those cravings and substitute for a high protein, high fat option instead. Balancing your blood sugar levels during the day will help to regulate your bodies natural sleep hormones at night. Q2. Why is gut health so important? And how can you improve and maintain a healthy gut? Our digestive tract are often referred to as our second brain, and contains around 90% of our immune cells. The health of our guts can effect our digestion, bowel movements, hunger signals, emotions, moods, immune system, and hormones. Consuming pre and pro biotic rich foods such as bananas, oats, kombucha, sauerkraut, and kefir can provide our large intestine with tummy loving bacteria. Zinc, vitamin E and vitamin A rich foods such as salmon, sweet potatoes, dark leafy greens, variety of nuts and seeds, can all help maintain a healthy gut environment and support a healthy immune system. Q3. Is it true that foods with additives will affect my child’s behaviour? Chemical and even natural food additives can affects children’s behaviour in many ways. Sleep disturbances, mood changes, changes in ea1ng habits, extreme high or lows in energy, skin and temperature reactions can all be a result of food additives. Stay clear from packaged and processed foods and drinks and its important to learn to read food labels as they can be disguised as a combination of numbers and letters. Q4. How do i know if my child suffers from a food allergy or food intolerance? Food intolerances and food allergies differ in there response times and physical effects and can sometimes be hard to notice. Food intolerances most often appear as a delayed response, meaning symptoms may appear hours to days later. This can make it difficult to pin point the culprit. Food allergies on the other hand usually appear within minutes to hours. Food intolerances and allergies can range from symptoms such as an upset tummy, bloating, gas, excess mucus, itchy eyes, skin rashes, eczema/psoriasis, to more severe reactions like troubled breathing, swelling of the throat and limbs and even anaphylactic shock. If you suspect your child has a possible intolerance or allergy, it is best to speak to a qualified practitioner to tailor an individual treatment and management program. Q5. Fussy eating can be a problem in children. How do i know they are getting enough to eat? As children develop taste and textures of different foods, they can become fussy on what they like. Try to introduce them to an array of different colours, textures, tastes and let them explore and handle their food. Smoothies are a great way to disguise hidden nutrients if your child is being extra fussy. Adding avocado and even spinach or kale to a smoothie can easily be disguised by a sweet banana or pear. Quiches and fritters can also be great for adding grated vegetables and thinly sliced meats/fish in as well. Q6. What are your top tips for creating healthy dietary habits for your child? Children learn their eating and dietary habits from us, be mindful how you approach and deal with meal times and certain foods. Give them the opportunity and feel and explore their food and don’t make a big fuss if they don’t like or finish their meal. Try not to associate food with reward, this can some1mes lead to emotional eating habits when they are older, reward foods are usually in the shape of high sugar junk food. Food and meal times should be fun, get them involved in helping you prepare meals and snacks so they can get a hands on experience on what they are eating. Q7. What are some small changes you can make to your diet when your trying to shift some post baby weight? Preparation is key. Having healthy snacks on hand when you are a busy mum is going to help keep you satisfied, stabilise blood sugar levels (goodbye cravings) and support a healthy mood. A balance of complex carbohydrates, protein and healthy fats; green smoothies, chia puddings, chopped up veggie sticks with almond butter/hommus, homemade protein balls, mixed nuts and seeds, leftover roast veggies and meats/chicken/ fish. Stress can also cause the body to hold on to excess weight as a natural response for survival. If possible, eliminate all excess unneeded stress, learn to say no, and don’t forget to treat your self once in a while. Little changes can make a big difference in the long run. Q8. What are your favourite healthy meals? I like to keep things simple, light and nutritious. Im also a self confessed grazer. I feel it stabilises my energy levels, mood, concentration and eliminates sugar cravings. In the cooler months I tend to stick to warming, slow cooked foods such as goulashes and soups. In the warmer months I love fresh, filling salads such as a quinoa and roast veggie salad with tahini and lemon juice dressing. Right now though I’m really enjoying having macadamia nut mylk and raw cacao hot chocolates when the chocolate cravings hit. Q9. What is a healthy treat for small children? Home made raw protein balls are fantastic. They have the natural sweetness of the dates, are full of healthy fats from the nuts and can be made in to endless flavours and combinations. In summer you cant go past home made ice cream. I love blending bananas and mangoes with some coconut milk and freezing them into ice cream s1ck moulds. It tastes like an actual weis bar, only good for you. Q10. What Lifestyle activities do you recommend for new mums? Take things slow and only do what you feel comfortable with. Even just getting in some fresh air and sunshine can lift your mood and energy levels instantly. Take short walks and when your ready you can move on to gentle exercise such as yoga and pilates. YouTube has some great videos for gentle stretching and breathing exercises if you can’t leave the house. Breathing exercises are also great for reducing stress, anxiety and can improve mood and energy levels. I absolutely loved reading this Q&A myself and i hope this helps some of you guys too. There is a sooooo much information out there for us new mums and sometimes it can be overwhelming. Sometimes its just nice to have a refresh and have this information on hand. If your after some amazing mama and bubs recipe inspiration you can’t go past @alicinhealthyland . This is my go to always for things to make for Aria. I have tried them all and can tell you they are all winners when it comes to bubs!